The Caribbean consists of over 500 islands yet in the UK, the offering of Caribbean food is limited to mainly Jamaican cuisine. Caribbean cuisine is a literal melting pot of food from across the world, following centuries of occupancy from European, (mainly British, Portuguese, Spanish, French, Dutch and French), and immigration from Asian and African nations. 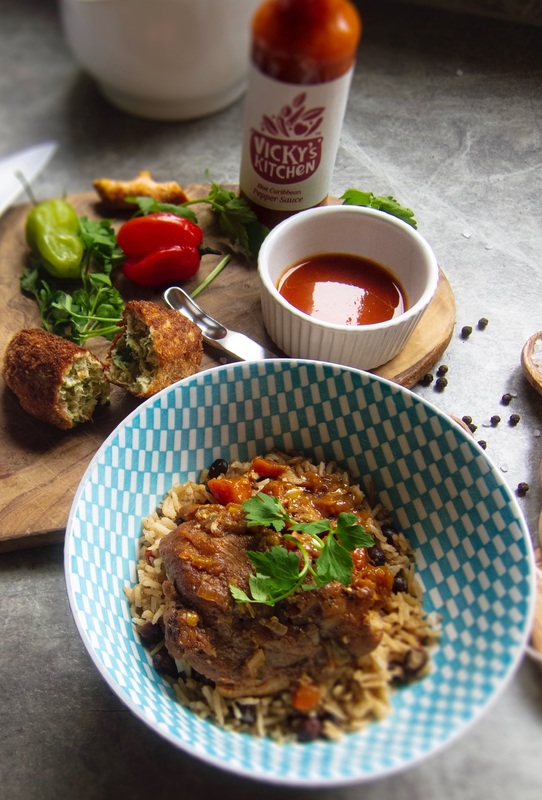 The Vicky’s Kitchen team heritage transcends from Guyana, Barbados and Trinidad, where an array of influences from the aforementioned regions are ingrained in their dishes. Like many aromatic cuisines, the combination of fresh herbs and locally grown spices such as nutmeg, pimento and scotch bonnet enhance everyday meals. Many think that being a hot region lighter meals are consumed when in reality the cuisine is known for stews, curries, starchy vegetables and roasted meats.